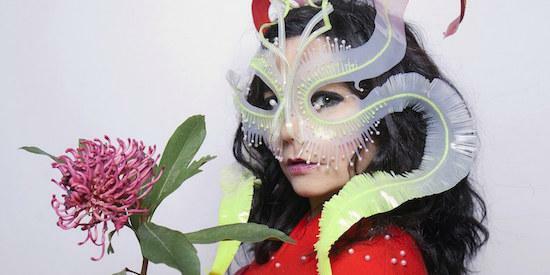 The Quietus | News | Björk Shares Account Of Sexual Harassment By "Danish Director"
Björk Shares Account Of Sexual Harassment By "Danish Director"
Following an account posted to her Facebook page late last week, Björk shares further details of alleged sexual harassment by unnamed "Danish director"
Björk has detailed alleged sexual harassment that she experienced at the hands of a "Danish director", which many people believe to be Lars Von Trier. Writing on Facebook, following on from an account that she shared late last week, Björk details numerous instances of the director's harassment, saying that "after each take the director ran up to me and wrapped his arms around me for a long time in front of all crew or alone". She continues: "while filming in Sweden, he threatened to climb from his room's balcony over to mine in the middle of the night with a clear sexual intention, while his wife was in the room next door." Björk also says that the unnamed director fabricated stories of her being difficult and shared them with the media as a result of her unwillingness to accept his advances. One of those stories that she mentions - claims of her eating a shirt on set - matches accounts that were circulated about her during the filming of the Lars Von Trier-directed Dancer in the Dark. The film was also shot in Sweden. Von Trier issued his own statement refuting the allegations in the wake of Björk's initial post on the matter last week. Björk has shared her story of sexual harassment amidst a number of accounts posted online by other women, prompted in part by the multiple allegations made against disgraced film producer Harvey Weinstein.